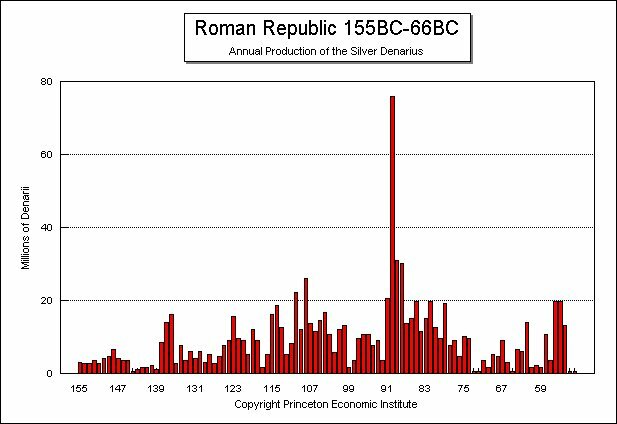 Many people have written asking how we were able to reconstruct the monetary history of Rome. We built one of the most comprehensive collections ever assembled much of which is outlined in our Monetary History of the World segment. The purpose of assembling such a massive collection was to be able to see the rise and fall of empires and how the dueling forces of inflation and deflation have operated over extended periods of time. While the Greeks used their coinage for art and a symbol of power, the evolution of the monetary system has been reconstructed but with a general time frame that cannot be specific to a year except during events of war. 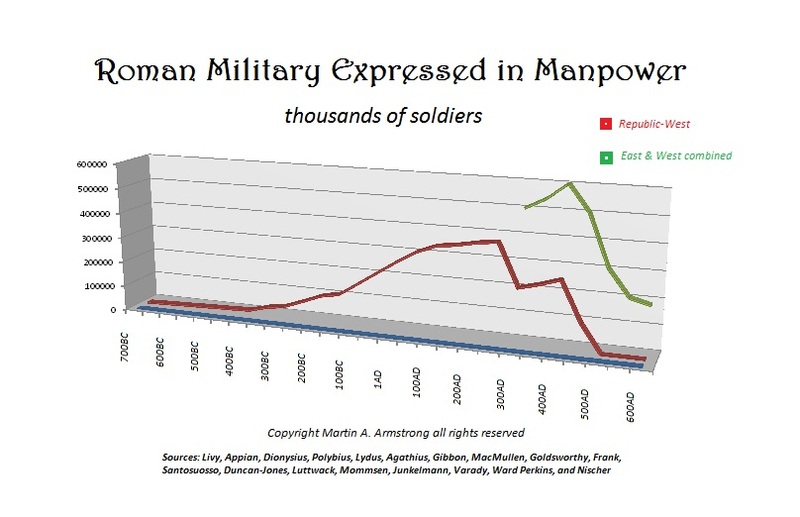 For example, we are able to see the impact of war in the coinage of Athens. The famous Athens’ Owl was the dominant silver coinage of the Ancient World after the defeat of Babylon. However, the Peloponnese War between Athens and Sparta can be seen in the debasement of the Athenian currency illustrating its soon collapse and the once silver owl became bronze silver plated (yes the Ancient knew how to plate their coinage using chemicals). The Romans were much more ingenious. They used the reverse of their coinage as newspapers announcing victory, great building projects as the opening of the Colosseum, or political events such as the destruction of tax records by Emperor Hadrian recording one of the earliest tax amnesty events. 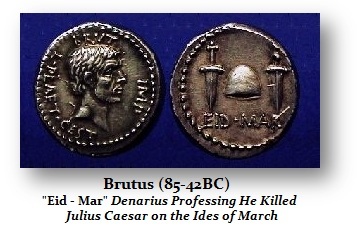 Pictured here is the famous “Eid Mar” denarius of Brutus (85-42BC) announcing he killed Caesar on the Ides of March in 44BC. 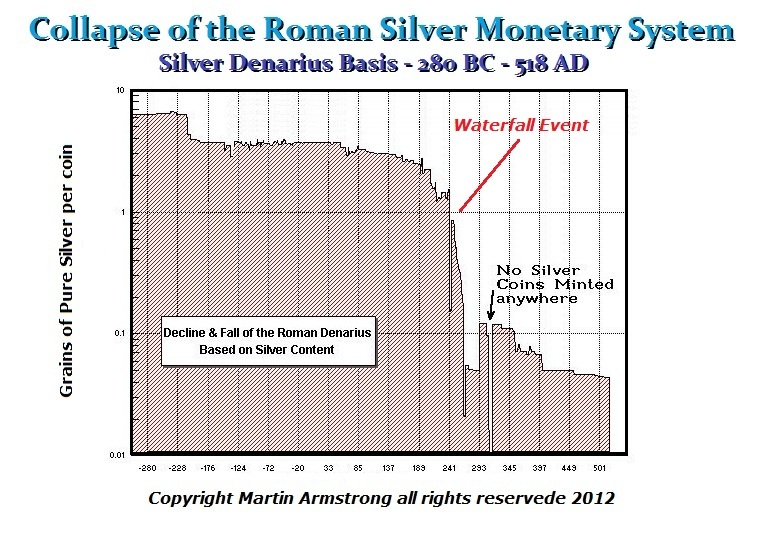 We were able to reconstruct the entire monetary system and history of Rome pictured here for nearly 800 years. This was accomplished by testing the metal content of the coinage to plot the debasement. The fascinating aspect of this exercise illustrated that the collapse of Rome was by no means linear. The massive decline took place during the course of just about 8 years. We were also able to reconstruct the money supply. This was accomplished by studying the number of dies known to have been used. Each die, as shown here, was hand made. The coins struck from each die are unique and can be distinguished. Studies creating modern dies to test how many coins could be struck from such a die before it cracked provides a picture of about 15,000 coins. Therefore, assembling the number of coins with different dies multiplied by 15,000 will give us a good idea of the money supply at that time as illustrated above. Granted, this research project cost tens of millions of dollar to produce. Nonetheless, it has yielded a wealth of information that enabled us to see specifically what took place economically. We are able to date the coins normally to a specific year. 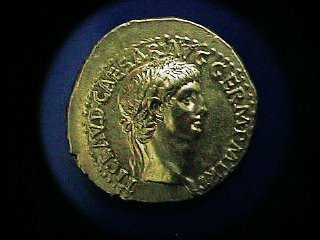 Here is a gold aureus of Emperor Claudius (41-54AD) with the legend TI CLAVD CAESAR AVG GERM P M TR P. This means TI (Tiberius) CLAVD (Claudius) Caesar Augusts (AVG) Germanicus (GERM) Pontifex Maximus (PM/ means high priest) Tribunicia Potestate (TRP/ Tribune of the Roman people). This coin was struck in 41AD. If there was a TRP II it would mean he received the power of Tribunicia Potestate for the second year and so on being renewed each year. This makes the coins datable to a specific year. Therefore, we have one of the most orderly monetary systems in history that has enabled us to document even events to specific dates. We know precisely when the Roman Emperor Vespasian conquered Judea because he announced his victory on his coinage. 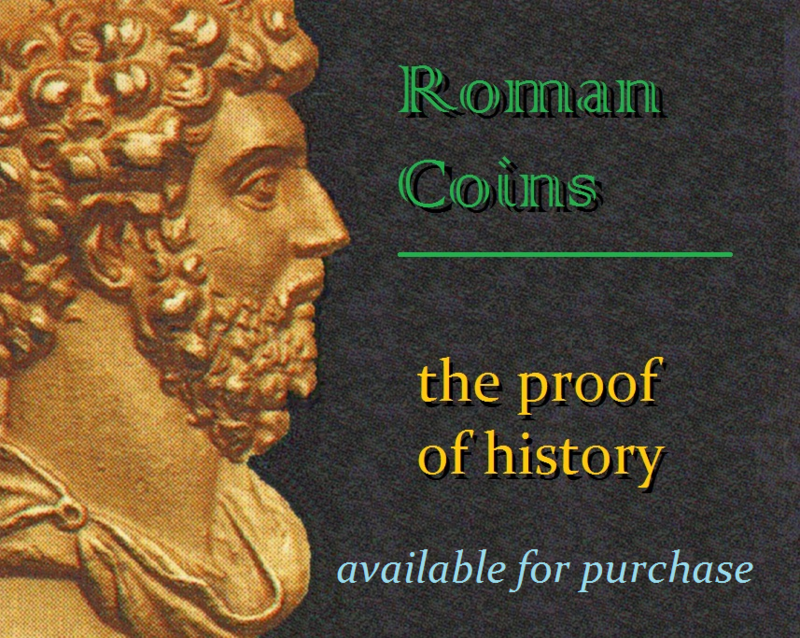 We have assembled some genuine coins of Rome for the average person to be able to own a piece of real history. These coins are always of the better quality, fully readable and free of corrosion. The dominant coinage of Rome post 211BC became the silver denarius. The Bible refers to the denarius as a day’s wage for a common laborer (Matthew 20:2, John 12:5).The Roman diet was very dependent on grain with the average Roman adult male eating about two pounds of wheat (bread) each day. Grain was a highly subsidized commodity having often been the object of political manipulation. Loaves of baked bread were normally available in the marketplace. The standard typically referred to a measure for wheat known as the modius, which would normally bake up into about 20 one pound loaves of bread. Therefore, a modius was highly important for it would provide the food for an adult male for 10 days. 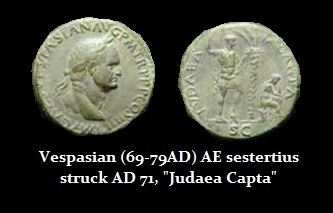 We find it even pictured on coins as illustrated here with a denarius struck by Vespasian (69-79AD) struck 77-78 AD. The Roman mind placed great importance on a concept of “Just Price” (pretium iustum est) that later influenced much of the thinking of 17th-19th century thinkers. However, this concept also created the sin of usury that eventually led to the Protestant Reformation freely Christians to be bankers like the Jews. The Just Price is a theory of ethics in economics that attempts to set standards of fairness in transactions that extends back to Roman times and was later advanced by Thomas Aquinas based on an argument against usury, which in his time referred to the making of any rate of interest on loans.Consequently, this Roman concept of a Just Price was a distinct feeling of one being wronged if grain was not available at this price (or less) on a regular basis. Politicians could gain considerable status by insuring the availability of grain in the marketplace on a subsidized basis even to the point of purchasing grain at market value during shortages and reselling it at a loss as a public service. This became the welfare state in Rome. The inflation subsidized with respect to the modius of grain advanced as this concept of the Just Price advanced from about 4 asses per modius during the Republican era circa 157BC to about 12 asses by the time of Caesar about 45BC, Jumping ahead to the period of Nero (54-68AD), the modius was now about 32 asses or 2 silver denarii. The prices soared going into the third century AD reducing the average worker to virtually near subsistence levels. If we turn to military wages, during the Republic period (c.200-150 BC) we find records of a legionary soldier earning about 3 asses per day when wheat sold for 4 asses per modius. 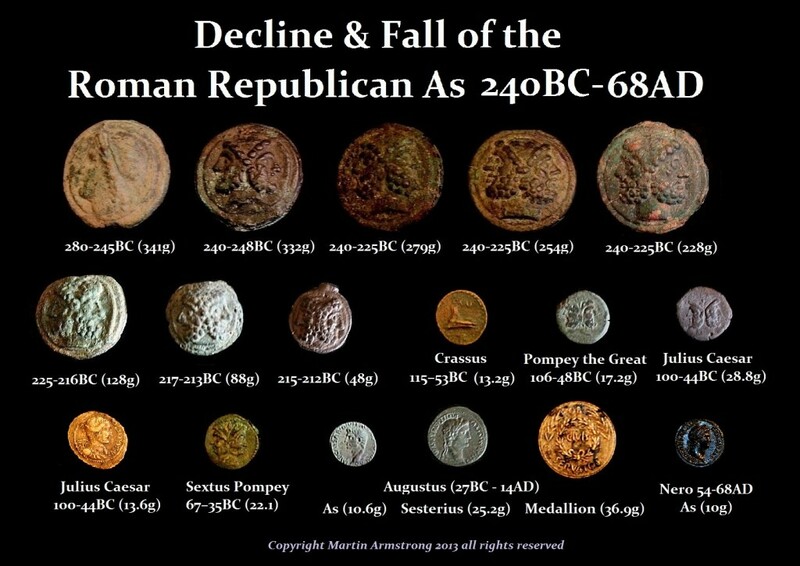 As illustrated here, eventually the unfunded liabilities are what broke the back of the Roman Monetary System offering pensions assuming the revenue would always materialize. After about 141BC, the legionary pay was increased to 5 asses a day and the price of wheat to a bit over 6 asses per modius. 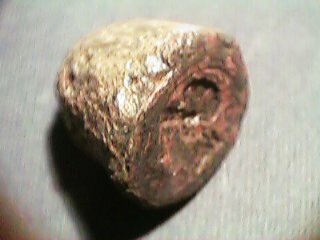 The bronze weight of the Roman As was declining rapidly. From about 230 to 215BC, the Roman As sheds almost 75% of its weight dropping from 228 to 48 grams. By the time of Caesar, the As drops another almost 50% falling to about 29-22 grams. A legionary made 10 asses a day but wheat then cost 12 asses a modius. By the time of August (27BC-14AD), the Roman As fell even further to about 10 grams. It is Augustus who introduces the bronze Sesterius at about 25 grams that was now equal to 4 As meaning that an As that began as one pound of bronze about 280BC was now just 6 grams. During this early stage of the Imperial era, a modius would sell for two denarii in Rome when a legionary soldier was now earning nearly a denarii a day. It was with Caracalla that we find the introduction of the Antoninianus that was effectively a DOUBLE DENARIUS. The introduction of the antoninianus in 214 AD recognized the fact that a denarius had really declined in purchasing power. The new coin would weight only about 5.1 grams compared to a denarius of about 3.2 grams down from 4 grams. So the weight was less than the idealized double weight illustrating the fiat power of government to arbitrarily declare the value of anything to be more than its intrinsic value. We have therefore gathered a selection of denarii from Caracalla for those who would like to see a silver denarius at the beginning of the Great Monetary Crisis that followed. We have brought together a series of coins of the various emperors illustrating the decline and fall of the Roman Monetary System during the Great Monetary Crisis of the Third Century AD. 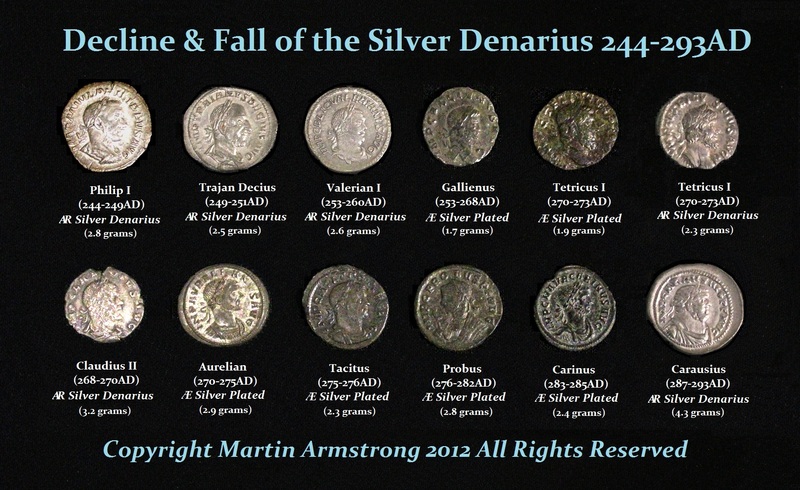 We can see the decline in silver content visually in this series of denarii from the Roman Emperors from 244AD to about 293AD. 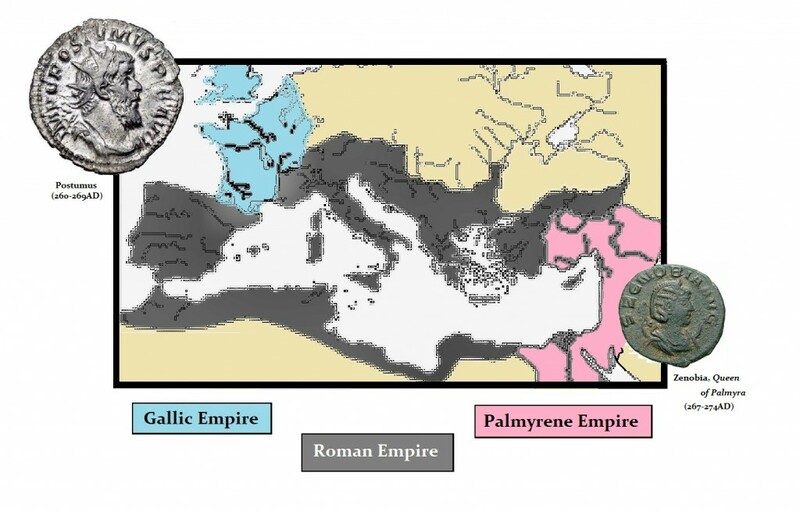 The Gallic Empire (Latin: Imperium Galliarum) was a breakaway realm of the Roman Empire that existed from 260 to 274AD. It originated during the Monetary Crisis of the Third Century AD. It was founded by Postumus in 260AD in the wake of barbarian invasions and collapse of the monetary system of Rome. 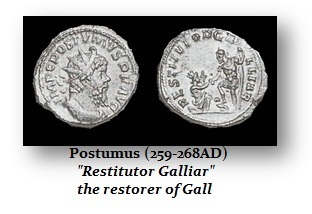 Postumus pictured himself on the coinage often as the “Restitutor Galliar” or the restorer of the province of Gall (France). At its height, the Gallic Empire included the territories of Germania (Germany), Gaul (France), Britannia (England), and (briefly) Hispania (Spain). After Postumus’ assassination in 268AD it lost much of its territory, but continued under a number of emperors and usurpers. It was retaken by Roman Emperor Aurelian after the Battle of Châlons in 274AD.